If your license is suspended or revoked, you do not have to break the law for the police to stop you. Even if your license is suspended for something minor, such as not paying a ticket, under the current law there can be mandatory jail sentences after a certain number of offenses. Under Illinois law, the driver of the vehicle that has no insurance gets the ticket, even if you are driving someone else's vehicle and did not know. This also applies even if your personal insurance would cover you in the event of an accident. If you are under age 21, two convictions over a 24 month period results in a driver's license suspension. The judge and the prosecutors are not required to advise you of possible consequences to your driver's license. The legislature continues to stiffen penalties for repeat offenders on all types of charges. 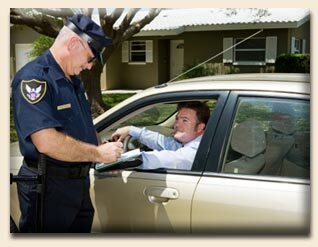 Do not go into court without understanding the potential ramifications to your driving privileges. In some cases, you can change things that have already been done in court in order to save your license!